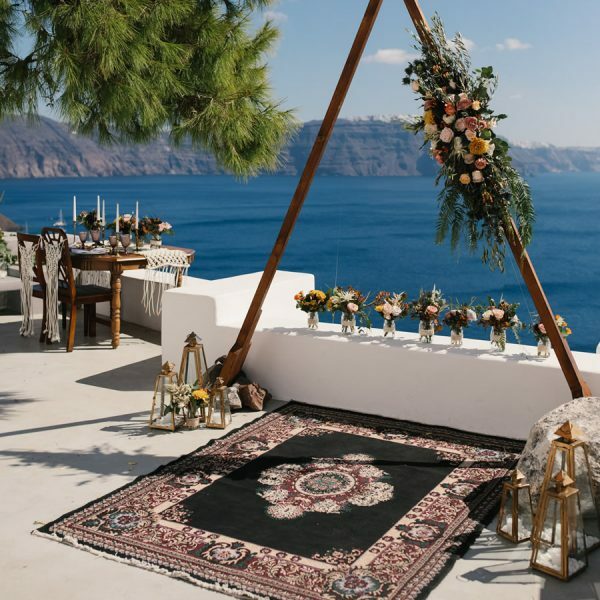 Textiles add such a splash of colour, depth of texture or contrast to a Santorini destination event. 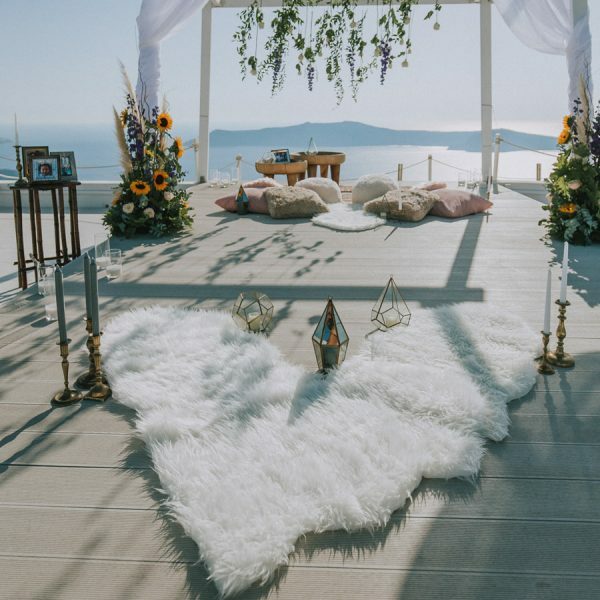 Browse through our sumptuous range of rugs, carpets and floor coverings that including Oriental style to our Moroccan poufs and fluffy cushions! The macrame trend that has returned is something totally retro and can offer something more natural and whimsical to your overall decor.